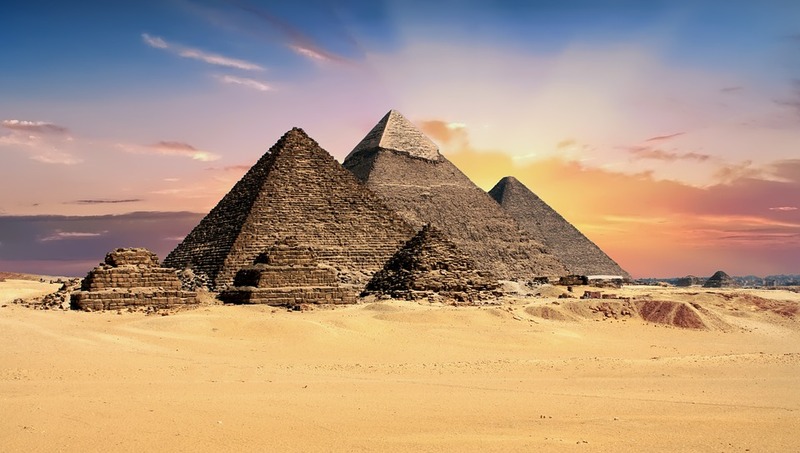 One of the most popular regions of Egypt is Giza, where fans of history and architecture can visit a number of impressive pyramids. The Great Pyramid of Khufu stands as the largest of all pyramids in the area, consisting of more than one million limestone blocks weighing between two and 15 tons. Until 1889 and the construction of the Eiffel Tower in France, the Great Pyramid of Khufu held the title of the tallest manmade structure on earth. While Khufu may be Giza’s tallest pyramid, a common illusion leads many tourists to believe that this record belongs to Khafre. The pyramid is actually nine feet shorter than Khufu is, though it stands on a slightly elevated stretch of land. Finally, visitors to Giza must see the pyramid of Menkaure. This pyramid stands considerably smaller than the others at just 215 feet. In addition to its relatively diminutive size, Menkaure differs visually from Khufu and Khafre because it is only partly encased in white limestone, while the other two are fully encased. About the author: Amita Vadlamudi has worked in various capacities as an experienced and diverse computer systems engineer. Away from work, Amita Vadlamudi has enjoyed reading historical books about architectural feats accomplished by ancient civilizations, such as the Egyptian pyramids. This entry was posted in Uncategorized and tagged Amita Vadlamudi, Giza Pyramids on August 25, 2017 by wpadmin.